Well wish no more, because thanks to food blog Through The Eyes Of My Belly, that dream is now a reality. While the shot glasses are a little time intensive to make, they actually seem pretty simple – we’re shocked no one has thought of this before. 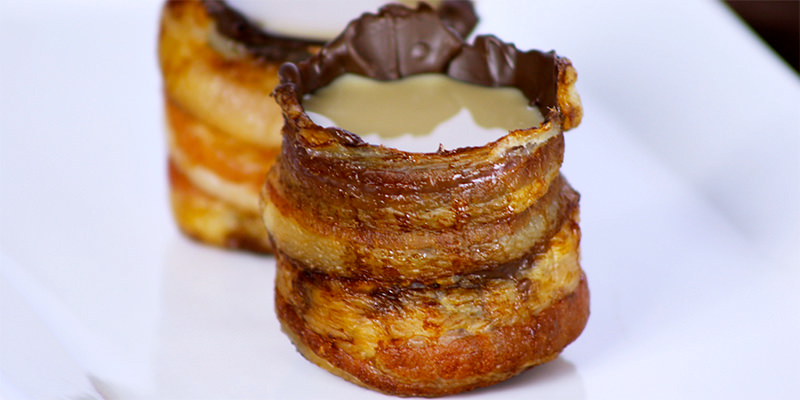 All you need to do is create your molds (even use an actual shot glass), wrap bacon around them, and then bake. Once your bacon shot glasses are out of the oven, you simply dip them in chocolate – the chocolate being delicious as well as functionary, sealing any holes to allow the bacon shot to actually hold your preferred spirit. After that, the sky’s the limit as to what you choose to fill your glasses with. In terms of the appropriate liquid filling, bourbon would be our first choice, playing well with both the sweet chocolate and the smoky, salty bacon. The glasses would also work well with a smoky Islay scotch, a rich, dark rum or even a smooth añejo tequila. We would avoid filling these with vodka, gin or a sweet liqueur as those flavor combos probably won’t work out too well. Mix ingredients in cocktail shaker. Top with ice, shake. Pour into rock glass. Want a shooter? Strain into a shot glass. 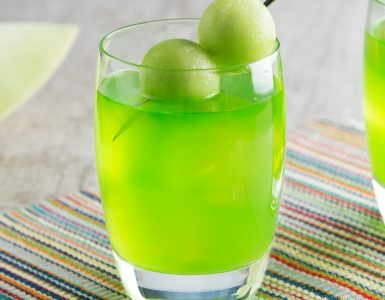 Jolly Rancher shots will sweeten your next tailgate ... guaranteed. 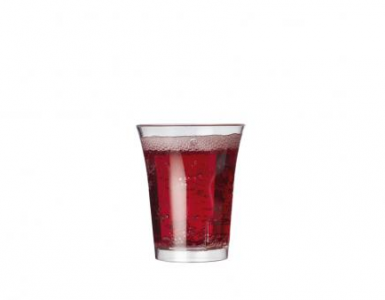 Bramble Trio in a shot … oh, yass! 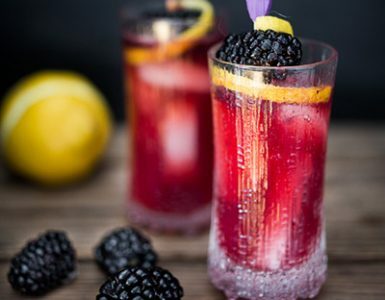 The Bramble is an oldie but goody cocktail transformed into a shot!